Product prices and availability are accurate as of 2019-03-14 15:46:21 UTC and are subject to change. Any price and availability information displayed on http://www.amazon.com/ at the time of purchase will apply to the purchase of this product. European design bakeware. 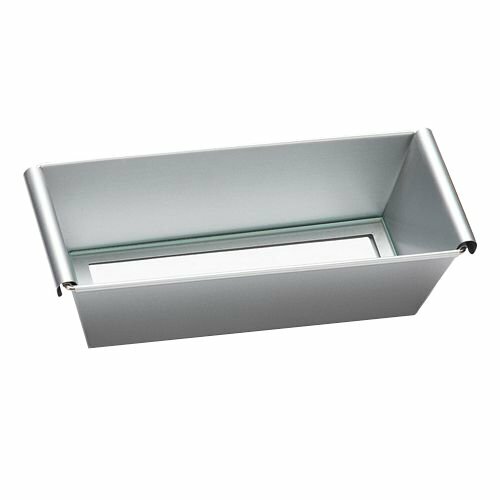 SILVER-TOP Series oblong cake tin with removable bake resistant glass base. Measures 9 3/4 Inch in length. Grey metallic color. High quality steel: 0.4-0.6 mm steel gauge. Has a non-stick Whitford Skandia 8-10 micron coating.